The last vestiges of cool weather are passing through the area and I figured this was the last opportunity until the crisp fall days return, to have a dish like lasagne. It is sort of like the first bowl of chili, but in reverse – you know what I am talking about. 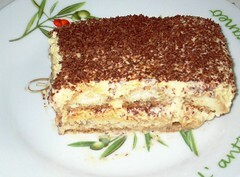 I decided to make lasagne to go with the tiramisu – a meal of layers if you will. I decided to make the pasta from scratch….totally worth it….I also roasted the tomatos for the sauce – delicious! All-in-all, I had fresh pasta, fresh sauce, ricotta and feta cheeses, zuchinni, spinach, mozarella and parmesan. My friend who lived in Italy said it was just like what she had over there – OH YEAH! I mixed 1 cup of all purpose flour with 1 cup of whole wheat pasta flour, 2 eggs, add water as needed for the right texture. The pasta should stay together and should be fairly firm. I have a pasta attachment for my kitchen aid – just run through repeatedly – gradually reducing the size of the opening (does this make sense?) until you can see through the pasta. 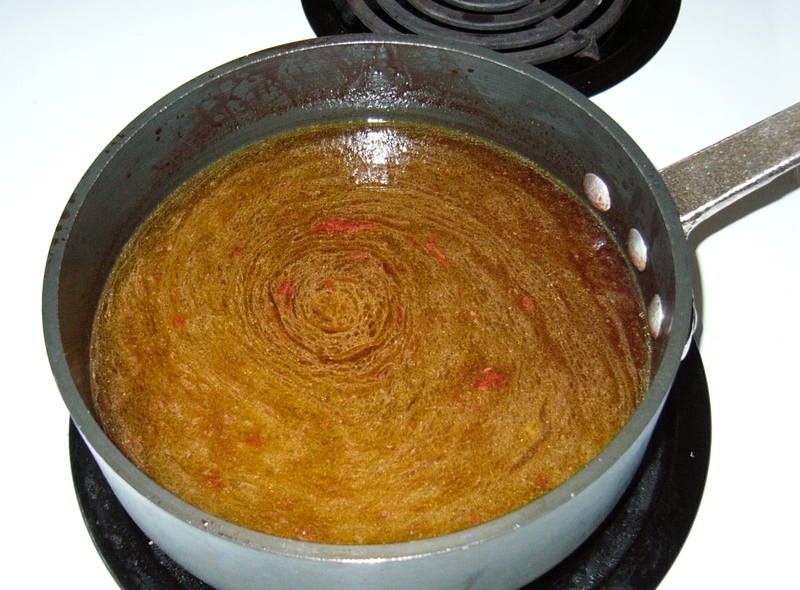 Roast tomatos with olive oil, salt and pepper, in a 350 degree oven unitl the oil bubbles, smush together to make a sauce – keep warm over low heat. 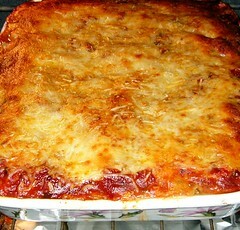 Cook in 350 degree oven for about an hour – the sides should bubble and the cheese will be golden brown. Enjoy with a nice chianti or shiraz. For dessert I had the tiramisu – perfect evening of layered food! This was my first attempt at tiramisu, prompted by a trip to Trader Joe’s in Atlanta where the lady fingers were super cheap – of course, once you buy the marscapone, rum, and other things that go into this – the cost of the lady fingers is pretty small, BUT, here it is, my first tiramisu. I found lots of recipes out there, but I settled on a slightly altered version from Barefoot Contessa. Whisk the egg yolks and sugar in the bowl of an electric mixer fitted with the whisk attachment on high speed for about 5 minutes, or until very thick and light yellow. Lower the speed to medium and add 1/4 cup rum, 1/4 cup espresso, and the mascarpone. Whisk until smooth. Combine the remaining 1/4 cup rum and 1 1/4 cups espresso in a shallow bowl. Dip 1 side of each ladyfinger in the espresso/rum mixture (I also added about 4 ounces of brandy) and line the bottom of a 9 by 12 by 2-inch dish. (Her lady fingers must have been much larger than mine – I quickly realized that the 9X12 dish was way too big so I did mine in a 9X9 dish). Pour half the espresso cream mixture evenly on top. Dip 1 side of the remaining ladyfingers in the espresso/rum mixture and place them in a second layer in the dish. Pour the rest of the espresso cream over the top. Smooth the top and cover with plastic wrap. Refrigerate overnight. Before serving, sprinkle the top with shaved chocolate and dust lightly with confectioners’ sugar, if desired. Notes: To make espresso for this recipe in your electric drip coffee maker, use enough water for 4 cups of coffee plus 1/3 cup of ground espresso. Let me just say that today, even though I was inside all day teaching, was a perfect southern spring day. It was about 78 with a cool breeze, not a cloud in the clear blue sky. Not to brag or anything – to those of you in colder climates, but WOW, what a day. To end the day with this dinner was even better. Things are starting to come into season here so cooking is even more exciting. 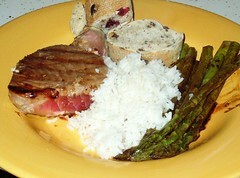 I got these great tuna steaks which I marinated in teryaki sauce and grilled to medium rare, steamed some jasmine rice (which has the glorious smell of popcorn) and then roasted fresh asparagus in fresh chopped garlic, olive oil and balsamic vinegar. There was not so much as a speck of food left on my plate tonight. For the asparagus, chop 2 cloves of garlic and add that to a saute pan with about a tablespoon of olive oil. Add 8-12 asparagus spears. When the spears start to sizzle, add about a tablespoon of balsamic vinegar…cook until just tender. You want then to be crispy enough to eat with your fingers – like french fries – or at least that’s how I like them. 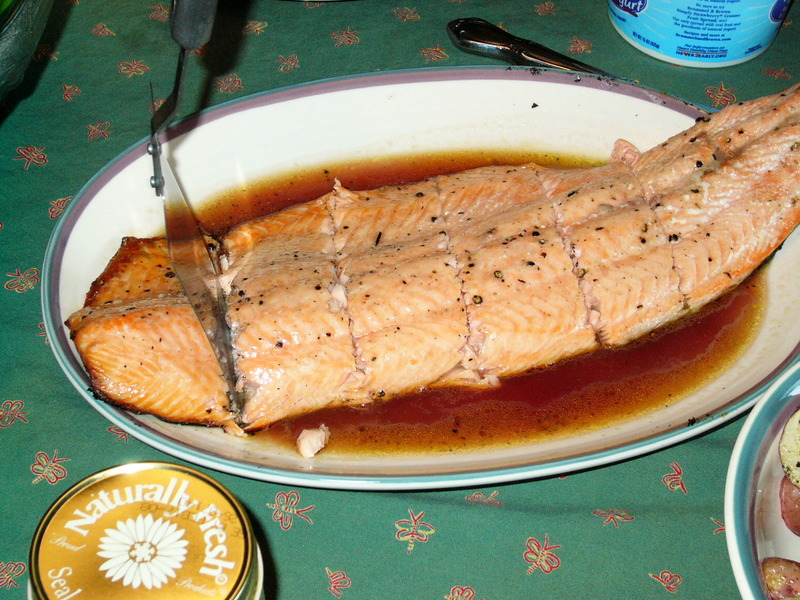 For the tuna – marinate in teryaki sauce for about 40 minutes (about the time it takes to steam the rice) heat a grill pan (or grill if you are inclined) and add steaks. For medium rare -cook about 2 minutes per side depending on thickness…if you like it a bit more done – I’d suggest 3 minutes on one side – and 2-3 on the other side (on a medium high heat). Serve with rice and warm bread and enjoy with a shiraz or dry pino grigio. Sunkist is 100. I recieved this if anyone is interested in participating for a good cause. “As part of that celebration, they are having a contest in support of Special Olympics. Participants need only upload their best Sunkist Smile (an orange wedge in the mouth) to www. sunkist. com/smiles for the chance to win a trip to Asia and have their photo displayed on the Reuters screen in Times Square. More importantly, for every photo uploaded, Sunkist will donate $1 up to $50,000 to Special Olympics. A few orange recipes could really influence your blog readers to cook and smile for a cause. 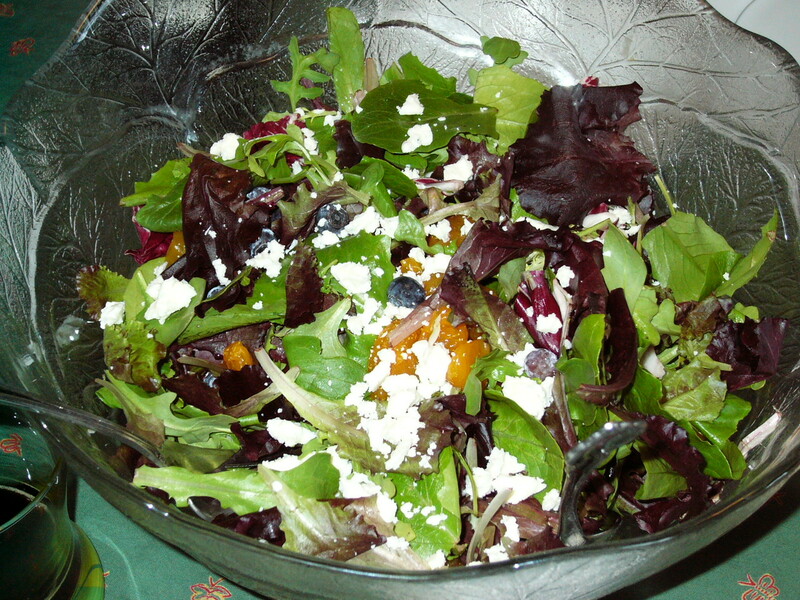 I can send you a few simple and healthy Sunkist recipes with hi-res photos. Or, since you’re such an accomplished chef, it’d be great if you could spread the word about this through your own creation. There it is. I can’t cut it yet because it has to sit in the icebox for 4 more hours. Preheat oven to 350 degrees. Lightly grease a 9 inch spring form pan with butter. Place chocolate graham crackers in a food processor with sharp blade and process until the crackers have a sand-like texture. To the process, add the sugar, cocoa powder and butter. Process until the butter is incorporated and the crust comes together into pea size balls. Press the crust evenly into the bottom of the spring form pan. Place the chocolate and heavy cream in a microwave safe bowl. Microwave, 30 seconds at a time, and stir until chocolate melts (time varies depending upon your microwave). Beat the chocolate mixture into the cream cheese mixture until smooth. Add the sour cream, salt, beer and vanilla. Beat until smooth. Pour the filling over the crust. Place cheesecake on a baking sheet and then put into the oven on the middle or upper rack. 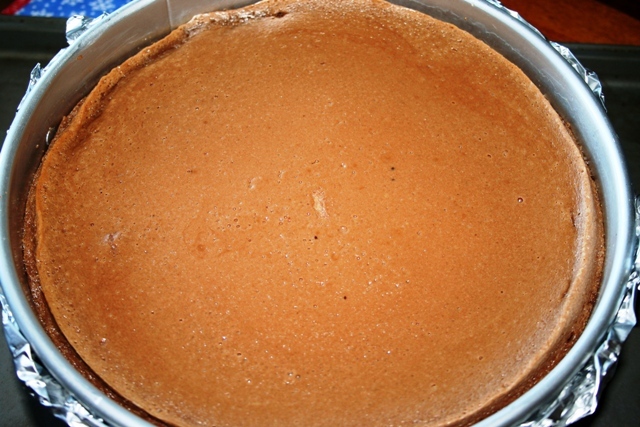 Underneath the cheesecake, place a pan of water. This will keep the cheesecake moist. Bake for 45 minutes. Turn off oven and allow cheesecake to continue baking for an additional 45 minutes to an hour, with the oven door closed. Refrigerate cheesecake for at least 4 hours before serving. This will allow the cheesecake to set completely. To make the clover garnish, melt 1 ounce of chocolate in the microwave. Stir until smooth. Using a spoon, drop 3 circles of chocolate in a clover pattern, onto wax or parchment paper. Starting where the two bottom clover leafs connect, make a stem. Allow to cool completely and place in the middle of cheesecake. I’ll post more pics after I slice it! Salt and ground white pepper Simmer blood orange juice over low heat until reduced to 1/4 cup, stirring occasionally to prevent scorching. Remove from heat and reserve. In a small saucepan, combine shallots and red wine vinegar and reduce over low heat. Add white wine, chicken stock and reduce again. Remove from heat and slowly whisk in olive oil until incorporated. Stir in reserved blood orange syrup, strain sauce and keep warm. I poured the sauce over to serve and served with roasted potatoes and a spinach salad with mandarin orange and blueberries. This recipe came out of “Better Homes and Gardens” magazine back in the early 90’s. I made these and put them in my Christmas baskets whatever year this issue came out. I haven’t made this recipe since then. Not because it didn’t turn out, but because (like all my other recipes) it got buried under an ever deepening pile of other recipes I wanted to try. In a large mixer bowl, beat butter on medium speed for about 30 seconds or til softened. Add sugar, cocoa powder and baking powder- beat til combined. Beat in the eggs. Beat in as much flour as you can. By hand, stir in any remaining flour, chopped white chocolate and semisweet chocolate. The batter will be VERY stiff. Shape dough into a 9 inch log, and flatten to be about 2 inches wide. 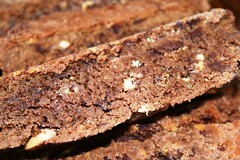 Put the log on a parchment paper lined baking sheet and bake for 20 to 25 minutes or til a toothpick comes out clean. Cool on the baking sheet for at least an hour. Decrease oven temp to 325 degrees. After it cools, cut diagonally with a serrated knife into 1/2 inch thick slices. Put cut side down on the parchment lined cookie sheet. Bake slices for 8 minutes, then flip them over and bake again for 7-9 minutes. Cool slices on a wire cooling rack. 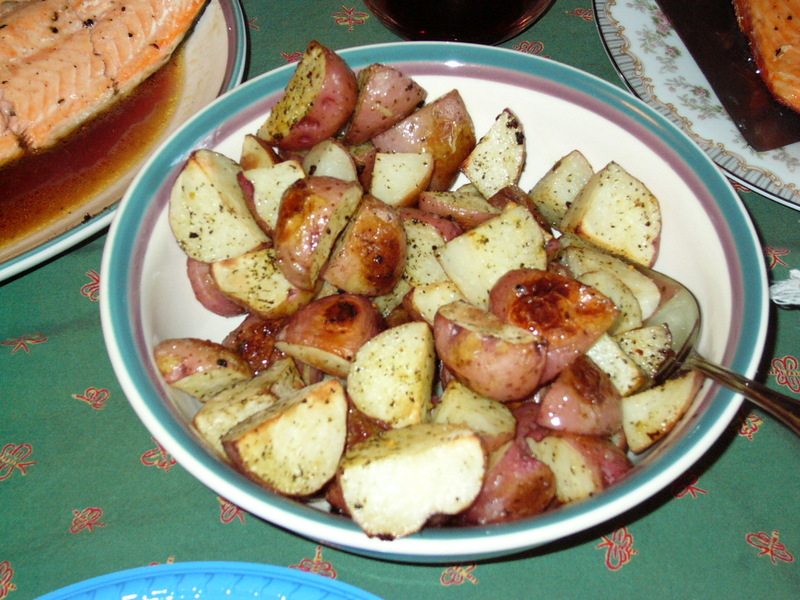 Store in an airtight container for a week, or freeze for up to 6 months.